Köln 28.4.2019 - 100% YOU - Unlock your inner HEARTset! 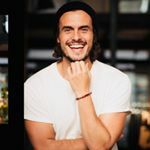 Hamburg 26.5.2019 - 100% YOU - Unlock your inner HEARTset! Berlin 30.5.2019 - 100% YOU - Unlock your inner HEARTset! München 1.6.2019 - 100% YOU - Unlock your inner HEARTset! Stuttgart 8.6.2019 - 100% YOU - Unlock your inner HEARTset! Wien 16.6.2019 - 100% YOU - Unlock your inner HEARTset! By submitting your email address you are agreeing to be communicated with by @chris.bloom_.